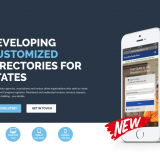 Provider Search is available for state's, counties, associations and other organizations looking to provide a searchable directory for it's members. Provider Search is the leading solution for assisting parents and individuals in search of Provider agencies and available resources. Take a look at our latest State program! This system is primarly a review system for people supported and their families to tell the world about their supports. Rest Assured has been providing remote monitoring services to individuals with I/DD for almost a decade now. Educating providers, self-advocates, state policy makers, and funding sources has taken a significant effort (and many miles on the road I might add). We needed a way to promote our services to a broad scope of parties nationally, but also wanted to keep it target to people involved in the I/DD world. Provider Search and the ANCOR Marketplace appears to be our solution! It's still too early to determine the exact impact this exciting new tool will have on our bottom line, but it appears promising. This is a great tool for any organization that wants to connect with the I/DD field nationally!